Do you enjoy listening to music while driving? Do you find radio traffic information indispensable? Do you appreciate the moments of your drive in which you can listen to or sing along with whatever you like? 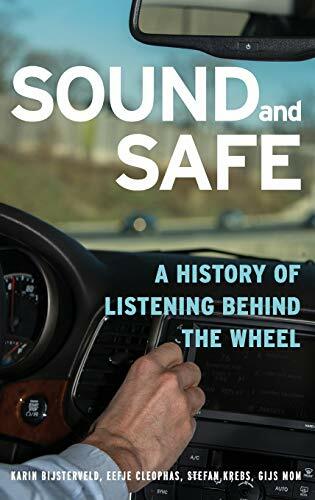 This book shows how we created auditory privacy in cars, making them feel sound and safe, even though automobiles were highly noisy things at the beginning of the twentieth century. It explains how engineers in the automotive industry found pride in making car engines quieter once they realized that noise stood for inefficiency. It follows them as they struggle against sounds audible within the car after the automobile had become a closed vehicle. It tells how noise-induced fatigue became an issue once the car became a mass means for touring across the country. It unravels the initial societal concerns about the dangers of car radio and what it did to drivers' attention span. It explores how car drivers listened to their cars' engines to diagnose car problems, and appreciated radio traffic information for avoiding traffic jams. And it suggests that their disdain for the ever-expanding number of roadside noise barriers made them long for new forms of in-car audio entertainment. This book also allows you to peep behind the scenes of international standardization committees and automotive test benches. What did and does the automotive industry to secure the sounds characteristic for their makes? Drawing on archives, interviews, beautiful automotive ads, and literature from the fields of cultural history, science and technology studies, sound and sensory studies, this book unveils the history of an everyday phenomenon. It is about the sounds of car engines, tires, wipers, blinkers, warning signals, in-car audio systems and, ultimately, about how we became used to listen while driving. Karin Bijsterveld, Eefje Cleophas, and Stefan Krebs teach in the Department of Technology and Society Studies at Maastricht University. Gijs Mom teaches in the History of Technology and Mobility at Eindhoven University of Technology. Each has published extensively on the topic of sound and automobiles.